The annual ACA Ohio Camp Conference is this Thursday, January 24th! The Domokur Architects Camp Design Team has significant experience in camp design and offers a breadth of professional services such as master planning, architecture, landscape architecture, interior design and construction management. 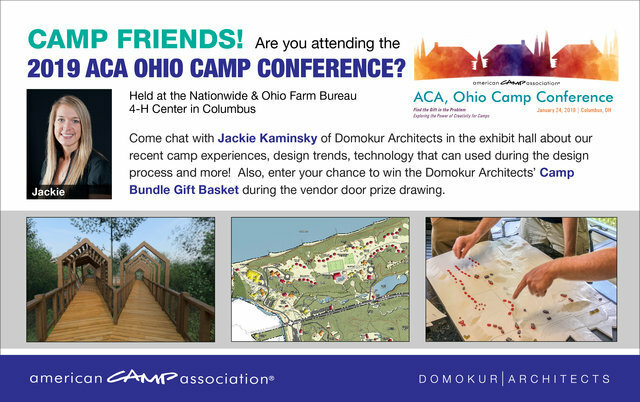 Having worked with over 450 camp clients throughout the United States, Domokur Architects is a one-stop shop for camps and parks across the country.